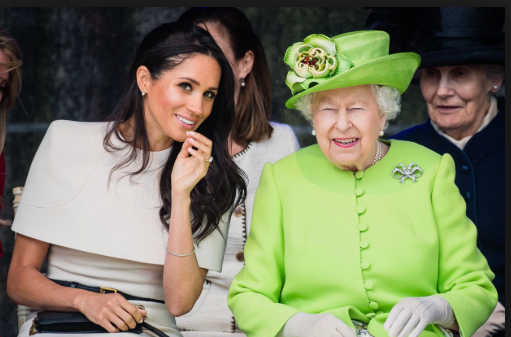 The Queen has 'banned' the Duchess of Sussex from wearing some of the priceless items from her own private collection, it has been revealed. Buckingham Palace has reportedly applied the stringent new rules to Meghan in a bid to 'maintain order, hierarchy and precedence' within the Royal Family. The Duchess borrowed the diamond tiara belonging to the Queen's grandmother on her wedding day in May last year, and wore a pair of pearl earrings gifted to her by Her Majesty during her first joint engagement with the monarch last June. A 'royal insider' told The Sun: 'It is true that Buckingham Palace did not want all the items in the Royal Collection to be opened up to Meghan at this time.